Chicago residents have the worst relationship with their police department among the 20 largest metro areas in the country. 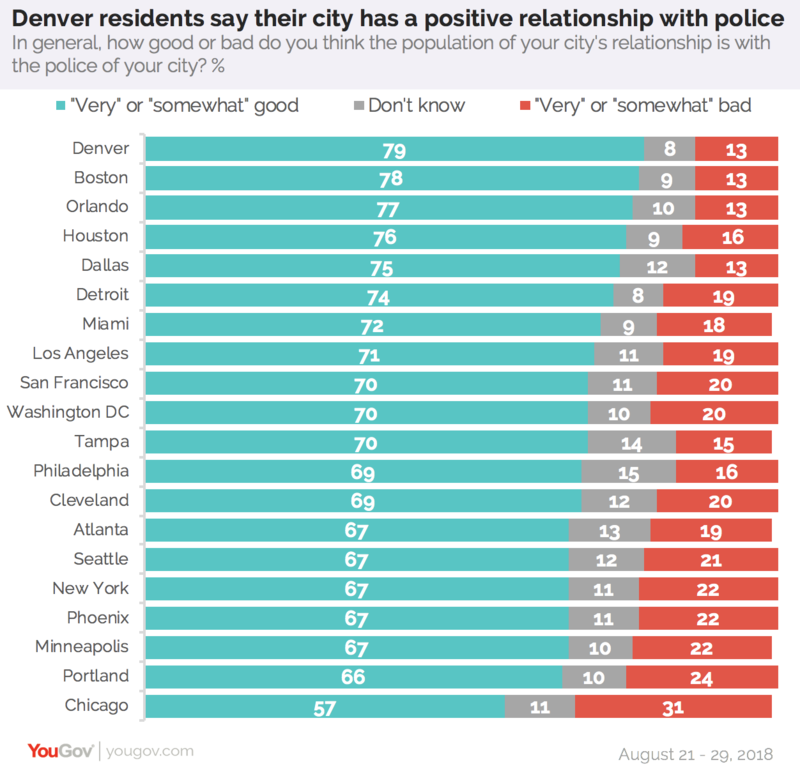 Nearly a third of Chicagoans rate the relationship with police as “bad,” while 57 percent say the relationship is “good,” according to a YouGov.com survey conducted in August. Those marks put Chicago at the very bottom of the list.